Mind games. So many mind games. Jhoira's modifications allowed the ambulator to gather data and learn from each of its travels, as well as to help travel to any location that the pilot is familiar with. 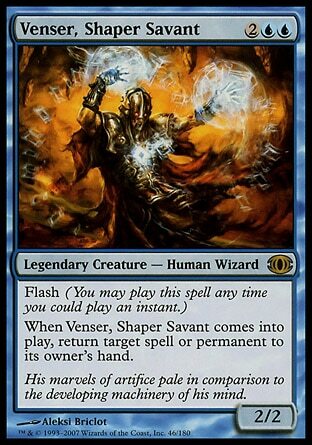 Jhoira has piloted plane-spanning artifacts before, yet none have been like Vener's ambulator. The important thing is that it works, and She finds herself in the Blind Eternities. Immediately the voice of her old friend greets her. Powerful and kind, he still wears the thran symbol for "karn" upon his chest. It means strength and it is the name she had given him so long ago. He's a little bit thinner than she remembers, but planeswalkers tweak their appearances constantly. But his eyes... no amount of tweaking would make them as cold and lifeless as they seem now. It isn't Karn at all. The Weaver King reveals himself now that he's caught. He admits that he made his way through the cracks in her defenses and was able to replicate Karn's likeness. But since she ruined all the fun it is time to return to Skyshroud and kill the pesky Freyalise. The Weaver King speaks to Venser once more. He tells him that Jhoira will never pine for him in the way that he pines for her. He isn't all powerful and all-knowing like all the other companions he travels with. He's nothing. His ambulator doesn't even work. He was the one doing the teleportation this whole time. And now Jhoira is stuck in the Blind Eternities never to return. 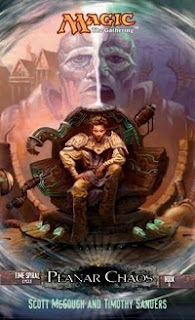 Before Venser can come to believe the Weaver King's lies, the familiar glow as the ambulator reappears reveals his lie and the Weaver King departs. Jhoira immediately rushes to Venser and asks him to tell her everything about his meeting with Karn. Through his retelling they're able to piece together the moment when the switch was made. It really was the real Karn he had met, and he really have to leave in a hurry. As he left the Weaver King assumed his likeness and it was the actually the Weaver King that removed Windgrace's mark from his face. 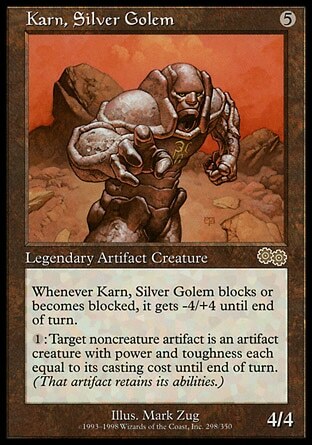 Karn, the real Karn had said he found him once before and said he would return. She knows he'll appear before too long. He's what they need now. Venser suggests that while they wait, why doesn't she tell him about Karn. He seems interesting. Jhoira happily obliges. The Weaver King amasses his forces at the west end of Skyshroud, but while it's massive, it's no fun. This place is boring. Urborg is filled with predators with a lust for killing and people who felt oppressed and enslaved even if they wouldn't admit it to themselves. That gave him so much to work with. Here in Skyshroud they really did workshop Freyalise. There is too much harmony. 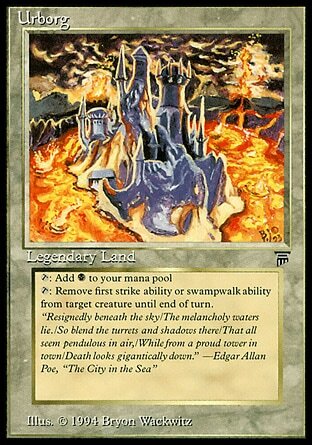 A large explosion takes him from his thoughts and he senses the destruction of much of his army. These planeswalkers are too much trouble. How can he defeat them? An answer comes to him. Speaks to him. A voice he's never heard before. Who can it be? I am here. I am everywhere. I am he who called you out of the shadows and into Urborg. It suited my purposes to turn you loose in the swamps, little mind spider. It does not suit them to have you brooding here, weighted down by ennui. The Weaver King knows this relationship well. 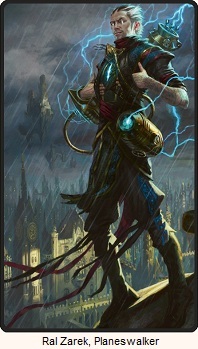 The voice is a planeswalker, but one as subtle as he is himself. He'll find a way out if possible when the time is right, but if the voice wants him to do what he does best, he might as well play along. What does the voice want exactly? It wants him to infect all of Dominaria. 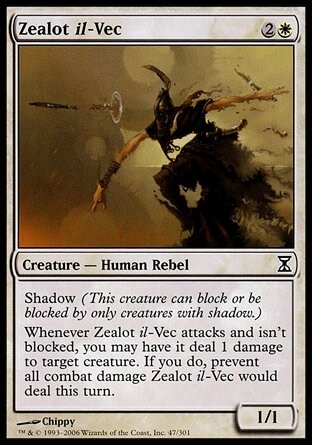 But first he's to marshall both his armies and attack both planeswalkers in a concerted effort. Now. The Weaver King calls to his servant Dinne and tells him to report. He sees through the assassin's eyes and sees the glorious sight of a Phyrexian army that will soon be his. The ferocity of Windgrace's attacks have already forced them to retreat and gather like a good army. 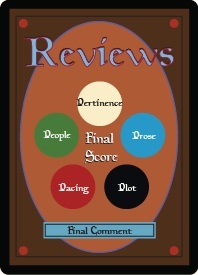 And through Dinne's eyes the Weaver King hops from one to another until and ties his threads until they're all his. The Weaver King has an army on each continent and he commands each to attack. There will be no quarter and no retreat. It's time to win or die. Then the Weaver King smiles as he realizes that he already has the solution to his freedom in Venser, Jodah, and Jhoira. One of you will be my salvation, he thought, though he already suspected which. And the others will be my pleasure. The silver man's body rippled before it completely vanished, creating a visual distortion that clouded Venser's eyes. He blinked them clear and saw that the silver man was growing more solid. His appearance was practically unchanged, but Venser noticed a slight decrease in his bulky body's size - the silver man had become leaner and more flexible, his movements a shade more lively. That's how the Weaver King got all his information about Karn. Karn was there for him to observe first before the impersonation began. 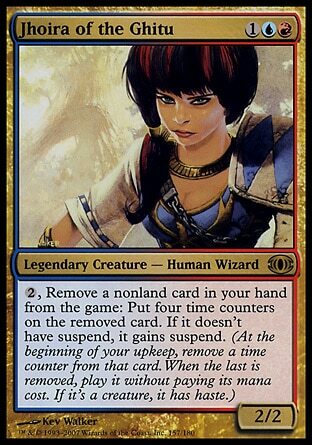 I need to be more observant, but to be fair, Teferi has been changing bodies as well to it really wasn't too out of place. So the story is going to involve some "Who is really who?" possession scenarios. My guess is that he'll take on Jodha body because he seems the most expendable. Although Venser is the most vulnerable, and Jhoira could possibly cause the most damage. But I'm in doubt so I'll stick with the obvious.